Ludwig “Luk” Meister was born on 14 December 1919 at Rohrmühle near Erbendorf in Bavaria. He joined the Luftwaffe in October 1939 and learnt to fly at 4./Flieger-Ausbildungs-Regiment 51 at Weimar/Nowra before transferring to the A/B Schule at Dresden/Klotzsche in November. Further training at Flugzeugführerschule C9 at Altenburg followed from 30 June 1940. On 21 February 1941, he arrived at Blindflugschule 1 at Brandis and, finally, Zerstörerschule at Neubiberg where he received his operational training on the Bf 110 twin-engined fighter. In mid-June 1941, Meister was posted to NJG 1 and was assigned to the Ergänzungsgruppe to gain an appreciation of Nachtjagd tactics. In September 1941, he was transferred to II./NJG 1 operating from Stade near Hamburg. On the night of 30 November - 1 December, Meister claimed his first victories shooting down three RAF bombers attacking Hamburg. However, only two victories are confirmed. In February 1942, II./NJG 1 relocated to St Trond in Belgium. Here, between 11 and 13 February, Meister participated in Operation Donnerkeil: the aerial protection of the battleships Scharnhorst and Gneisenau and the battlecruiser Prinz Eugen on their dash through the English Channel to Norway. In May 1942, Meister was transferred to III./NJG 4 based at Mainz/Finthen. He was assigned to 8./NJG 4. On the night of 28-29 August 1942, Meister claimed three victories: a RAF Wellington twin-engined bomber over Eich; a RAF Stirling four-engined bomber over Airlenbach; another Wellington bomber over Simmern. Leutnant Meister transferred to I./NJG 4 based at Laon/Athies in France in October 1942 to take up the post of Adjutant to Hauptman Wilhelm Herget (71 victories, EL), the newly appointed Gruppenkommandeur. By the end of 1942, Meister’s score stood at eight. In early 1943, I./NJG 4 was based at Florennes in Belgium. He claimed his 10th victory, a RAF Halifax four-engined bomber over the Ardennes, on 17 April 1943. 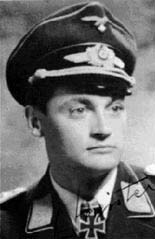 In July 1943, Oberleutnant Meister was appointed Staffelkapitän of 1./NJG 4. On 3 November 1943, he shot down his 20th victim, a Halifax bomber near Cologne. By the end of 1943 he was been credited with 21 victories. He was promoted Hauptmann on 1 January 1944. On 2 January 1944, Meister shot down four RAF Lancaster four-engined bombers. Meister claimed his only day victory on 7 January 1944 when he shot down an American B-17 four-engined bomber. On 24 March 1944, Meister was returning to his base in Belgium in his Bf 110 G-4 (W.Nr. 720 078) “3C+TJ” after landing at Hildesheim the night before. Near Namur he was intercepted by an American P-47 fighter and his aircraft was badly damaged in the attack. He managed to crash-land the aircraft near Naninne. He was hospitalised as a result of the injuries received and did not return to his unit until August 1944. He was awarded the Ritterkreuz for 37 victories on 9 June.  On 6 December 1944, Meister was appointed Gruppenkommandeur of III./NJG 4. He claimed his 39th and last victory of the war on the night of 7-8 March 1945. Ludwig Meister is credited with 39 victories. 38 of his victories were scored at night.